I’m 65 and my financial adviser is recommending I put some of my retirement savings into an immediate annuity. But the payment he quoted me seems low. How do I know if this is a good deal and how do I avoid investing when interest rates and annuity payments are at a low point? For example, the calculator will show you that a 65-year-old man who buys a $100,000 immediate annuity today would collect roughly $545 a month for life, while a 65-year-old would receive about $515. A 65-year-old man and woman who elect the “joint life” option would collect about $470 a month as long as either one remains alive. What Is A Longevity Annuity—And Do I Need One? I fully expect rates will rise at some point, but I have no idea when that will happen or how much they’ll climb. Which is why I think the best way to handle that uncertainty is to buy in stages. So, for example, if you plan to “annuitize,” say, $150,000 of your savings, you might invest $50,000 now in the immediate annuity of one highly rated insurer, an additional fifty grand a year from now with a different insurance company that has top ratings and then the final $50,000 the year after that with a third. 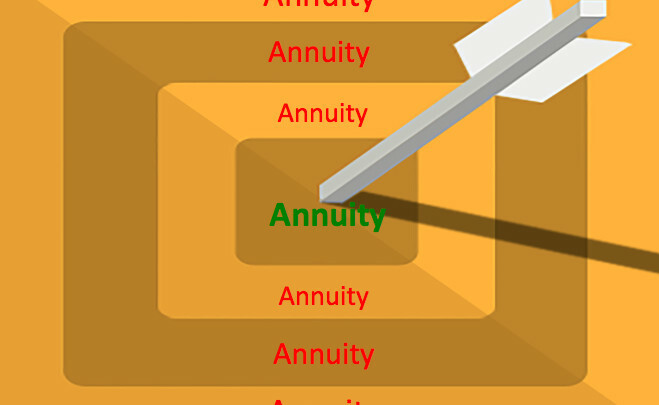 There’s a bigger issue, however, that you haven’t broached, and that’s whether you need an immediate annuity at all. Remember, you already have or will be receiving an annuity that will provide lifetime guaranteed retirement income: Social Security. If there’s a gap between the what Social Security pays and the income you need to cover your basic expenses—which you can tote up using this retirement expenses worksheet—then you may want to devote enough of your nest egg to an immediate annuity to bridge that gap (taking care, though, that you have enough savings left over to provide money you’ll need to cover non-essential expenses, handle emergencies and pay for any other unanticipated outlays). If, however, Social Security covers all or most of your essential living expenses, you may be able to get along fine without an annuity. Similarly, if your nest egg is so large that the amount you’d need to withdraw from it each year to pay expenses beyond what Social Security will cover, then you also may not need an annuity. You may be able to simply pull money from your savings as you need it. To see how long your nest egg might last at various levels of annual withdrawals, check out this retirement income calculator.